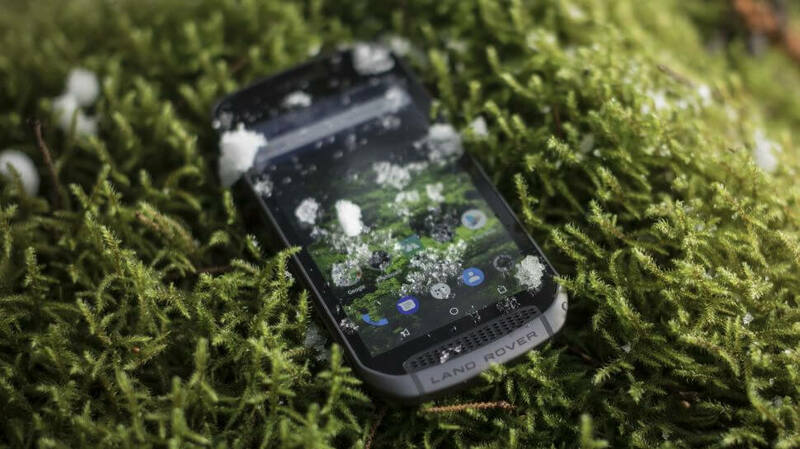 Land Rover says its Explore handset is "the toughest phone in the world"
The rugged new device was built with help from Bullitt Group, a UK firm that has also worked with Caterpillar, Kodak, and JCB on their phones. Land Rover says the Explore is inspired by its Discovery vehicle—the phone features a front grille resembling the one found on the SUV. While the handset boasts the same IP68 dust- and water-resistance rating as several flagship handsets, it can also stand drops of up to 1.8 metres (5.9 feet), has a fitted screen protector, and is designed to survive "freezing cold to blistering heat, thermal shock, intense humidity and vibration exposure." Specs-wise, the phone boasts a 4000mAh battery that offers “two days typical use,” a deca-core 2.6 GHz MTK Helio X27 processor, 5-inch full HD screen, 4GB of RAM, Android 7 Nougat, a 16MP rear camera, an 8MP front snapper, and 64GB of expandable internal storage. Aside from its ruggedness, possibly the most compelling aspect of this phone is its Moto Z-like modular attachments. The “Adventure Pack” lets you magnetically connect an extra 3600mhA battery and a 25mm ceramic patch GPS antenna to the pins on the back, bringing your battery life up to 7600mhA and improving the GPS signal; helpful if you’re planning to spend a couple of days traveling in remote locations. There’s also another pack that adds an extra 4,370mAh battery to the phone, and a pack for attaching the handset to a bike’s handlebars. Other outdoor-focused features include a compass and SOS light, a touchscreen that can be used while wearing gloves and when it’s wet, and access to topological maps from ViewRanger. Users can also receive wind, tide, and weather information. The Land Rover Explore will cost £599 (around $800) when released on April 26. That may be pricey for a phone with mid-range specs, but it’s likely to appeal to fans of the great outdoors.